Yea same here, I really hope to play another good game from the franchise before I die lol. Man, the years go by quicker every day. Happy B-day! Im there mate, will join asap. Thanks for the add nice to hear from a fellow Spurs fan. I sure did. That book looks awesome. It would be nice if the US would release it, but as long as we have guys like you, batman, and News Bot, I can just get my RE info fix online, lol. How you been, tho? 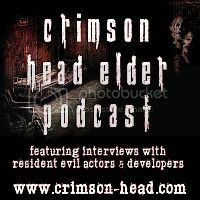 OLA, to all my new friends @ http://www.residentevilcenter.net ~ Great to be on the team!